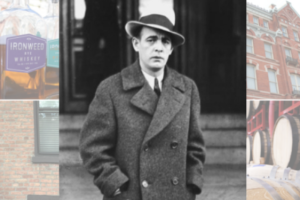 Notorious bootlegger John "Legs" Diamond met his end in ALbany, NY. Was he "offed" by rival gangster, Dutch Schultz? Was it a "hit" organized by his jealous wife, Alice? Or perhaps his girlfriend, Kiki Roberts had something to gain from his execution? You and your guide will uncover the truth behind this and more, as we reveal the stories of Albany's secret speakeasies and colorful brewing history. Your tour will end at the Albany Pump Station.